My Tinies (Hope and Cookie) got some new toys. I found them online. They came in a 4 pack of party favors. This is the store that had them...and many more cool things. Look under Toys and Games. 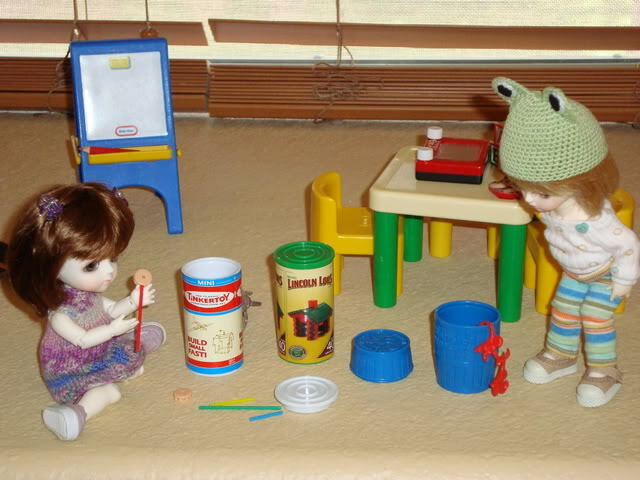 Adorable picture Brenda, the toys look very nice!! Those are too cute!! Perfectly scaled for the littlest ones!! What an amazing find!! Thanks, K and Christina! I was really excited about finding them. I LOVE it!!! That is so darn cute!! !